So, how much does it cost to build your own event registration and ticketing website built with WordPress and Event Espresso? In this post, we’ll take a closer look at what costs you can expect to incur for launching an event registration and ticketing website that’s powered by Event Espresso. We’ll break down the costs into three different categories – the basics (like hosting), premium add-ons (like additional payment gateways), and security features (like malware protection). The great thing about Event Espresso is that it’s a plugin that you install on your WordPress website. Most people agree that adding content to their WordPress site and managing it is pretty straightforward. 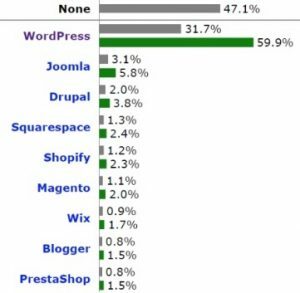 After all, it is the most popular content management system (CMS) with a market share of 59.9%, as seen here on a recent survey of popular CMS system usage. However, many people assume that electronic commerce (e-commerce), including event registration websites, are built and managed in the same way as, say, a blog. 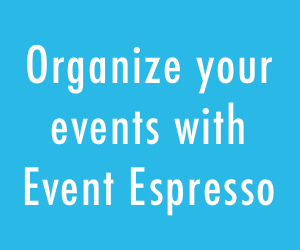 You install the e-commerce (Event Espresso) plugin, enter your event’s details, and start selling tickets right away. This is where event organizers don’t realize there is more to an event registration and ticketing (e-commerce) website than just a blog. Setting up a WordPress blog or a web presence for your brick and mortar business is much simpler than putting together a secure and functional event registration website. You need to consider things like handling traffic spikes, integrating payment gateways, and storing data securely. Simply put, launching an event registration website requires some familiarity with web platforms, such as WordPress [or at least a willingness to learn], and some careful planning. So, why would you want to build an event registration website instead of setting your registration form up on a hosted solution? Many hosted event platforms charge a per transaction fee. You may end up paying for features that you do not need. You may be missing the opportunity to integrate your brand into a hosted event system. The website doesn’t belong to you i.e. you don’t own the content that’s published on it. Many hosted solutions only offer very simple registration solutions, so growing and scaling your event over time may become difficult. Overall, the key benefits of building your own event registration website are that (1) Event Espresso is a sustainable, extendable solution that offers ticketing functionality and (2) you have complete control over your site. However, if you just aren’t ready to launch your own WordPress site with an integrated event registration solution such as Event Espresso, then a hosted solution is your best option to go online with your ticket sales. If you go that route, we recommend going for one that doesn’t charge a ‘per ticket’ fee such as Event Smart. The first thing you’ll need to do is get a domain name from a domain name registrant such as NameCheap. It’ll cost you somewhere around $10 to $15 for the first year and you’ll have to renew your domain name each year. The yearly renewal may be more or less than the initial price of the domain. Pro tip: Go for a .com domain name and make sure social media accounts are also available for that name. 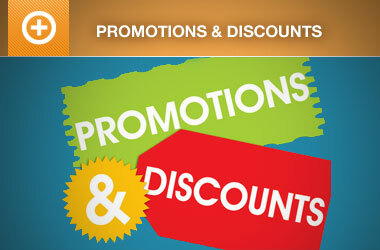 Lets you upgrade your hosting plan as your business grows i.e. it’s scalable. When you’re starting out, a low-cost shared hosting provider like DreamHost might work out just fine for your event registration website. And when your site grows, you can switch over to a managed WordPress hosting provider like WP Engine. If you’re a developer (or have a team of developers on hand), you might also consider a cloud hosting provider such as DigitalOcean. If you’re processing payments on your event registration website, you’ll need an SSL certificate to make the payment process secure. Most hosting providers offer customers an SSL certificate as a premium add-on so it’s a good idea to ask them for a dedicated SSL certificate. SSL certificates are becoming less expensive with the Let’s Encrypt service. You just need to find a hosting provider that takes care of this for you. The Event Espresso EE4 Personal License allows you to use the plugin on one website and comes with 1 year of software updates and customer support. This is the core event registration and ticketing plugin you’ll need on your event site. There are a number of free and premium event themes that you can use for your event registration website. This is a one-time cost unless you’d like to extend support. Offering different payment options to prospective attendees increases your chances of making a sale. Event Espresso offers many different ways to add payments options to your event registrations, including integrations with Authorize.net, PayPal Express, PayPal Payments Pro, electronic funds transfer, and more. Send your attendees tickets automatically after they register for an event and then scan tickets at the door with a mobile phone or a barcode scanner for fast check-in and attendance tracking. There are several options to consider for the actual scanning of tickets at the door. Use a mobile app such as the free Event Espresso mobile app, or you can use a barcode scanner along with Printable Tickets. Barcode scanners are easy to use and come in a range of prices and options. Amazon offers a wide variety of wired, bluetooth, and 2D scanners. The 2D scanners allow attendee lookup and scanning using a mobile device. You can find a wide variety of scanners on Amazon that will cost as low as $20 for some of the wired units to upwards of $100 for the wireless Bluetooth and 2D scanners. Use Mailchimp with Event Espresso to automatically add attendees to your saved email lists in MailChimp. Engage your attendees once they sign up for an event by syncing to your lists and creating email campaigns targeted directly to these groups. Here are some ways to engage your attendees before, during and after the event. Whether you opt for a shared or dedicated hosting plan, you’re going to need malware protection software to minimize the chances of a hacking attempt. We recommend going with Sucuri for a complete website security package. 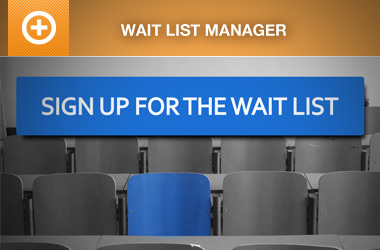 By now we’ve listed out everything you need to launch your event registration website. Let’s organize the various costs as either one-time expenses or recurring expenses and add them up. * Depending on your hosting plan. In total, you’ll need to spend anywhere between $90 to $320 to launch your event registration site (after the purchase of domain name and hosting). 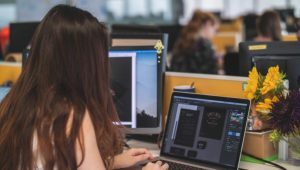 In addition to this, you can expect to spend at least $177 in the first year for the basics – domain name, hosting, an SSL certificate, site security, and the Event Espresso Personal License. Let’s say you use Event Espresso and start selling 200 tickets per month, at $50 each, that’s $120,000 in ticket sales per year. In the first year, you’d be paying about $205 (on average) one-time expenses and $177 in annual expenses. That’s a savings of $119,618 in the first year. And in subsequent years, you’d only be paying about $98 in annual expenses. That adds up to savings of $119,902 per year or nearly $10,000 per month. If you use a hosted solution like Eventbrite and sell 200 tickets per month at $50 each, you’d still make $120,000 in ticket sales per year. However, every year, you’d be paying $8,016 (3.5% + $1.59/ paid ticket) in ticketing fees to Eventbrite. That’s a savings of $111,984 per year or $9,332 per month.